Brother color printers have always stood apart from other devices produced by other manufacturers. This is no accident. Japanese brand appeared in the market of color printing comparatively recently. Printing platform for its devices was developed from scratch. Why am I talking about this? 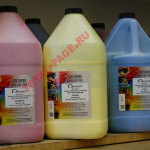 Brother printers require special toner and it’s impossible to find relatively compatible toner from other manufacturers. The main reason for this that the toner has charge sign “positive” while the products of the manufacturers have charge sign “negative”. Color printers Kyocera are an exception, but they use two component principle of printing, while color printers Brother one component. Design of color toner cartridge and drum cartridge is very similar to monochrome cartridges Brother. Accordingly, they have the same problems and print quality, which is at the level of last generation printers Samsung CLP-510. In a short span of time, Brother released three generations of printers. Brother HL-4040 was the first. It was replaced by HL-3040. 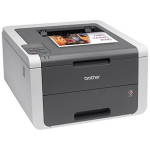 The latest model of color laser printer is called Brother HL-3140. All these three generations of printers are united by the same toner. Over the years, the composition and formula of toner have not undergone any changes. Compatible cartridges for color printers Brother have never been stable, colors were not real or the toner was showered to the printer. Once it went so far that our company ceased to provide services on refill of Brother color cartridges. 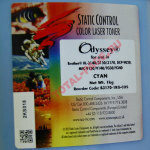 US company StaticControl has recently released toner for cartridges Brother HL-3140. Thus everything has changed. Toners are sold in convenient factory package of one kilogram. Toner distinguishes primarily by stability that is quite important for service centers. Showering of toner or color distortion were not noticed. 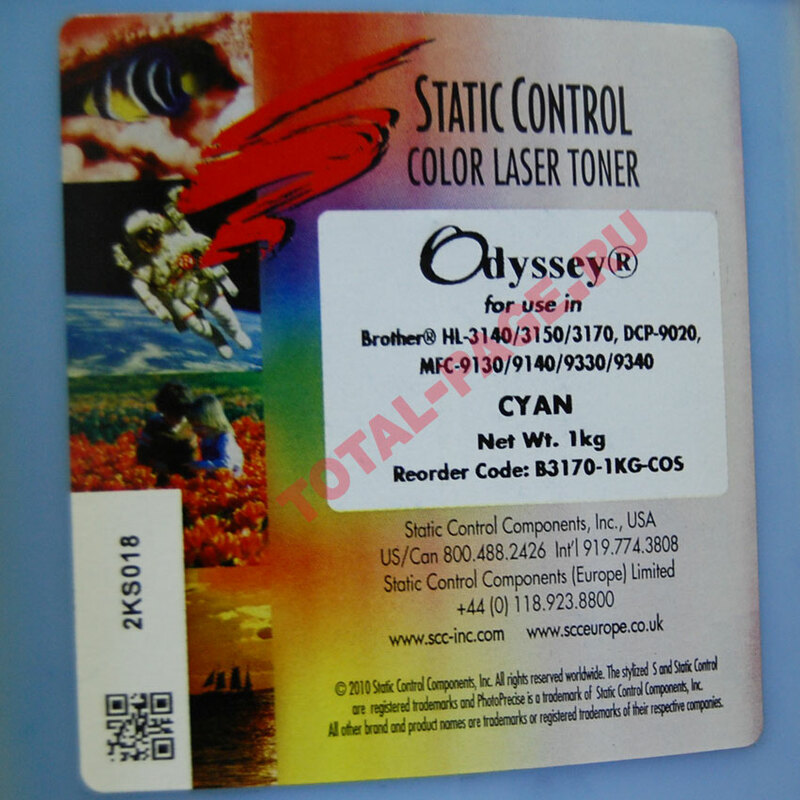 Global testing of toner hasn’t been conducted but the tested pattern had good condition of drum-cartridge and toner-cartridge after two refills. The lattice in the drum-cartridge was clean indicating that toner doesn’t produce dust at all. It’s necessary to completely remove the remains of original toner when refilling, otherwise artifacts in the form of spots can appear on prints. Only 50 grams of toner are enough for filling one cartridge. Cartridge with increased resource TN-245 – 2200 pages. 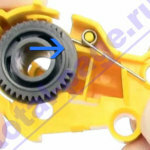 Experience has shown that the difference between standard cartridge and cartridge with increased volume is only in the presence or absence of flag gear. Starter cartridges are not equipped with it. 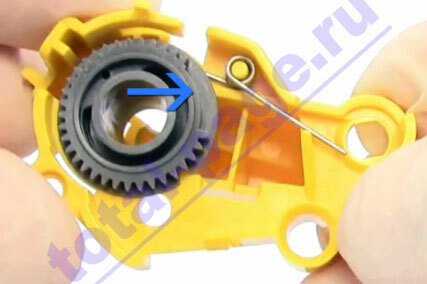 However, the flag gears can be purchased separately. 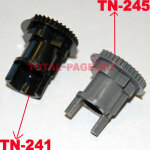 Thus, on request of the customer, starter cartridges can be refilled with standard or increased volume of toner. With the advent of high quality toners for cartridge refill, Brother printers became attractive for users. But as my statistics shows, reliability decreases with each new generation of printers. The diameter of rubber rollers is significantly reduced, that impacts the stability and longevity of printers, even though the quality of printing remains the same.